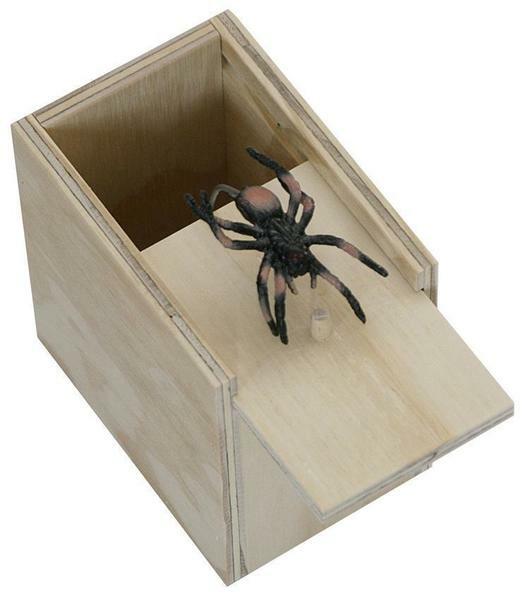 This wooden box is Amish made in Indiana and seems simple from the outside but slide the lid open and you will have a fun surprise as a rubber spider pops out. This spider is sure to surprise you and guaranteed to cause some screams and jumps. This American made toy is fun and is perfect for the prankster in the family. Order this surprise scare box today and watch your loved ones jump at the surprise. We also offer the Surprise Mouse Box if you think mice are more scary then spiders. 3.25" x 5.25" x 5"